Today, the Toronto Star republished a New York Times article where Star editors gave the following erroneous sub-headline: “Netanyahu’s pledge to annex Palestinian land a challenge to centrists”. 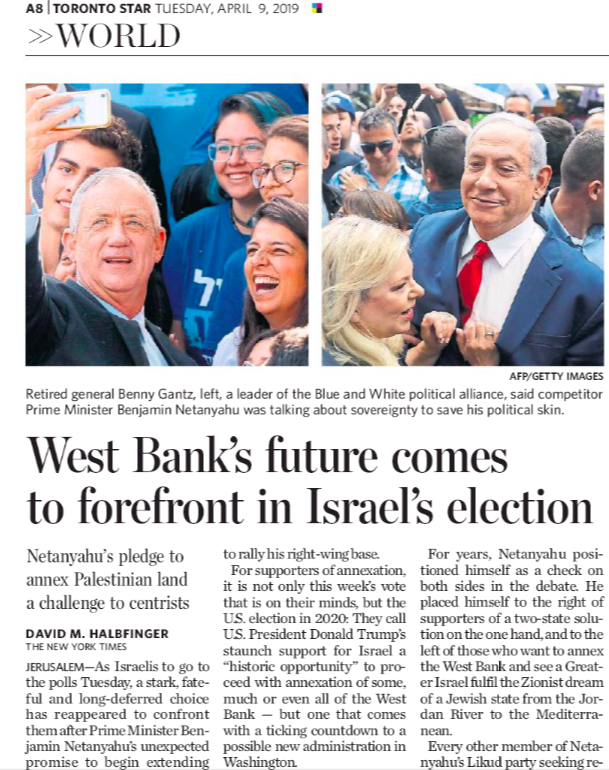 The article’s main headline was: “West Bank’s future comes to forefront in Israel’s election”. For the Star and the Times to claim that the land of the “West Bank” is inherently Palestinian is inaccurate and unfair to competing Israeli claims. Importantly, the status of the “West Bank” (what Israel regards as Judea and Sameria) is fundamentally in dispute. Furthermore, the Palestinians have never been sovereign rulers over any lands. The West Bank was previously ruled by Jordan in an illegal occupation from 1948-67 (following the War of Independence) and Israel won these lands in a war of self defence initiated by pan-Arab armies from Syria, Jordan and Egypt in the Six Day War. Israel cites its security needs for remaining in these areas pending a final peace accord with the Palestinians and Israel has biblical, historical, legal and political claims to the land. It would have been proper for the Star to assert that these are Palestinian “claimed” lands, but it’s fundamentally wrong to assert that these lands are by right and title, Palestinian. 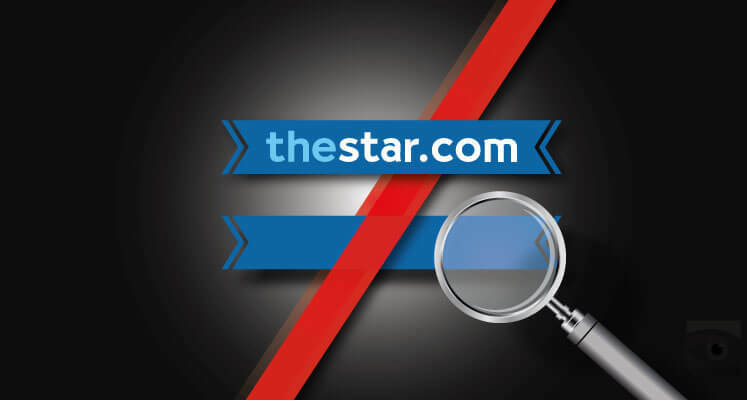 In light of this information, HonestReporting Canada requested that a correction notice be issued by the Star. We await the Star’s reply to our complaint. Stay tuned to this page for future updates.